Cooking plates are made from Himalayan Rock Salt in different sizes and shapes. The primary reason behind its use in the culinary items is it being free from any impurities. What is originally extracted in the shape of gigantic boulders is further carved and sculpted into various culinary items like plates and bowls. Himalayan Salt Cooking Plates from Pakistan are natural and products mined from Himalayan Salt Range from Pakistan. Himalayan salt, mountains, bricks and bricks are the highest dish in a dish. They offer many creative uses of the kitchen while offering pure benefits in natural salt, without chemicals or additives. 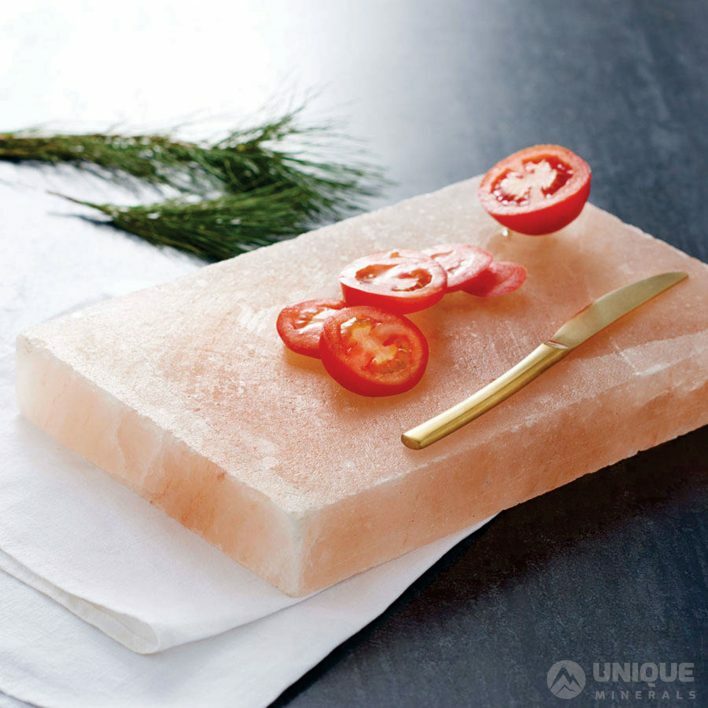 Heat your Himalayan pink salt plate, plate or salt brick to high temperatures and burn meat, fish, vegetables, seafood and other fast-cooking foods . Or used to serve sushi, main dishes, cold cuts, cheese, fresh fruits and vegetables and even cold desserts. The pink salt, the plate and the bricks of the Himalayas are harvested in the depths of the ancient Himalayas in Pakistan. For centuries, they have been protected from pollution and impurities, making them the purest and cleanest salt in the world. The salt is extracted in the form of large meteoroid rocks, then cut into blocks, blocks, bricks and plates, then etched into vessels. The salt blocks of the Himalayas being a natural product, the threshold of high temperatures and pressure can vary, as well as the physical properties and markers that give your salt plate a unique appearance. Brick and salt plates and plates from the Himalayas are an exciting display of hot and cold foods for your home, restaurant, fitness center or meals. 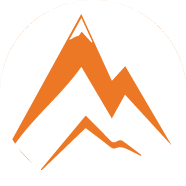 All Himalayan salt products belong to the Himalayan premium gourmet foods and salt category. 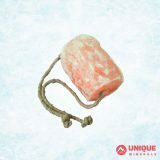 Himalayan salt blocks are not your usual equipment! It is incredibly dense and the heat is efficient but slow, which is why the tile retains heat and balances food evenly. Plates can be broken if they are heated (or cooled) very quickly because any moisture stored inside increases, so it is best to follow these suggestions for use and maintenance recommendations to maximize the life of your salt mass. The salt plates in the Himalayas are ideal for serving as service dishes. The tray can be chilled in the fridge to serve ingredients such as sushi or cheese, or even frozen in the freezer, providing a new way to make cold confections, even sorbet! Wet foods will have a more salty flavor, while their more intense and drier counterparts will offer a beautiful and creative creativity. How does the Himalayan salt cooking plate affect different types of foods? Foods that are placed in the Himalayan crystalline salt plate take on a light, clean and naturally salty flavor while absorbing the minerals needed for health and longevity. When placed on a block of Himalayan salt for a long time, sliced ​​fish such as salmon, tuna and white fish begin to heal salt that acts as a preservative. In general, the natural salt palette adds a touch of salty to wet or moist food, but will have no effect on dry foods. For example, if you use your plate of salt to make cheese and cookies, it will add some salinity to the cheese but the taste of the biscuits will stay the same. 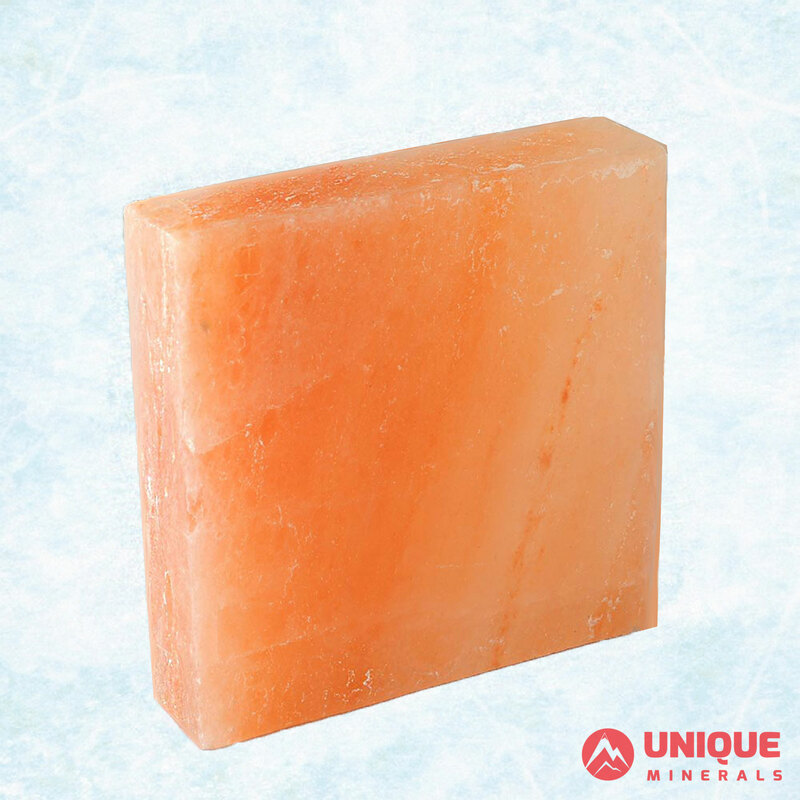 Himalayan salt blocks can be used to process thinly sliced ​​meat, fish and seafood. Simply brush the dish of natural salt in the refrigerator for several hours, then place thin slices of tuna or beef directly into the plate of salt and note that the process is proceeding slowly. Irregular shades of pink and uneven textures of this amazing nature are 100% exciting and engaging conversation for the natural service of all your favorite foods. Imagine preparing your food on a plate of pure, natural salt 250 million years old. What is the best way to bring tasty and pure food benefits to your table with pure natural salt? Himalayan pink salt plates can be heated to 450 degrees Fahrenheit and used to burn all kinds of delicious foods. When the cooking is complete, the metal salt tile will slowly return to room temperature for later use as a cold serving dish. The Himalayan salt plate can be slow to heat, either in the oven, on a gas flame or electric stove, or to burn fish or vegetables or burn them generously. Note that when temperatures are high, the white salt plate turns into a few spots. It’s normal By cooling down, the salt tile of the Himalayas will return to its original colors. Due to this slight change in appearance with respect to heat, you may want to keep a panel for display and / or rendering, and a cooking plate if you have a problem. When cooking with a plate of salt, be sure to dry thoroughly before applying heat, as moisture can spread inside the tile and damage the board. Normally, the drying time must be at least 24 hours since the last connection to the board, without humidity. To heat the oven: Place the dry salt plate in a cold oven and increase the temperature to 250 ° F. When the oven reaches 250 degrees, remove the salt pan and leave it for 30 minutes. Then bake and set the temperature to 400 to 450 degrees Fahrenheit. The heat will be distributed slowly and evenly all the time. 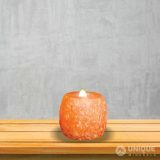 To heat using a gas range: Place the Himalayan dry salt plate on a low gas flame for 15 minutes. If you want a higher temperature, heat it for another 15 minutes on an average gas flame. To heat on an electric range: Use a metal separator or wok loop to prevent the salt plate from coming into direct contact with the heating element. Follow the instructions to heat the gas. Once you have warmed the plate of salt in the Himalayas, you will be ready to eat meat, fish and / or vegetables. Place the fully heated salt plate on a thermally insulating surface. Discard meat, fish or vegetables in oil, spices and herbs. You can also gently spray the surface of the range with olive oil, while adjusting it to the desired salinity level (the amount of oil will be reduced by salting your food and vice versa). Place it directly on the heated salt pan, then cook to the desired sweetness, stirring and stirring around the salt pan as you would with any other grill surface. Your salt block will keep a hot temperature for 20 to 30 minutes. Avoid direct contact with the salt block for a while after cooking, as it will take several hours for it to cool completely.